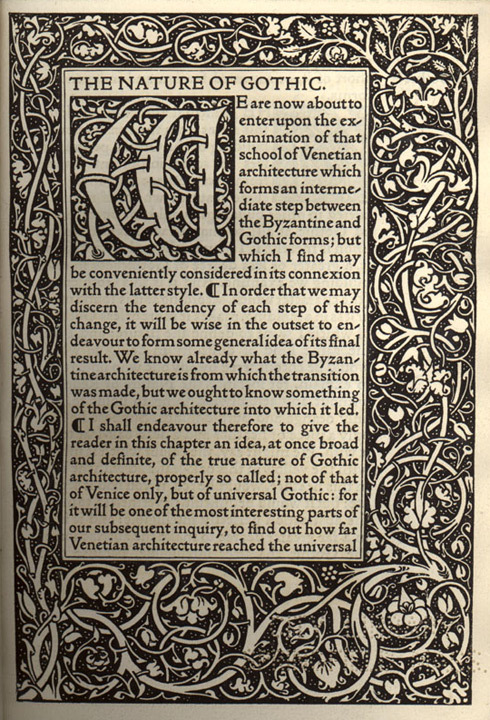 Initially, I was intrigued by the concept of “ornament” and “ornamentation” in graphic design while reading Seymour Chwast and Steven Heller’s Graphic Style – From Victorian to New Century. While reading about the Arts and Crafts movement in England (the mid 1800s-early 1900s) and the Bauhaus school in Germany (1919-1933), it was interesting to note that they both held similar ideals and were reform movements, but with different visual outcomes. Both schools (perhaps initially for Bauhaus) strived to remove the boundaries between craftsmanship and art. The Arts and Crafts movement in England was a reaction against the negative, poorly made goods produced in the industrialization era. This movement set to bring attention to creating beautiful, handcrafted functional works, often decorated with organic flourishes. Stylistically, it is less ornate and fussy compared to the typical Victorian aesthetic of the time, but much more embellished in appearance compared to Bauhaus. 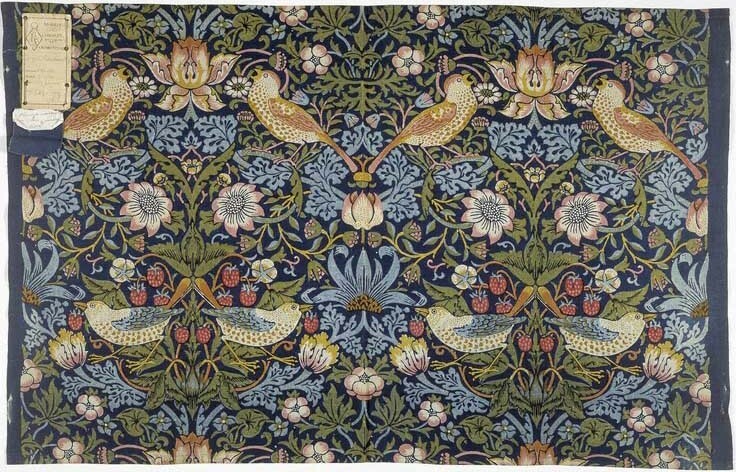 On the other hand, Bauhaus was initially modeled after William Morris’ art and craft workshops, fusing together fine arts and crafts. While initially not having a uniform style, Bauhaus’ output leaned more in a stark, unadorned and geometric direction, which laid a major foundation for the modern movement. The initial intent of both movements may have been similar, but the visual outcomes seem completely contrary. Very good summary of these styles – which outcome do you prefer? I love Bauhaus, and would love to visit the school one day. The universal type by Bayer is one of my favourit fonts. I think the unspoken “canon” of graphic design is the minimalist, swiss typography derived look, which descended from early modernist styles like Bauhaus. And to be honest, I really love Bauhaus and the universal type. Those designs still look very contemporary in our day and age and I have a tendency to gravitate towards that clean, simplicity. At the same time, it’s nice to have design that isn’t minimalist and simple as well. It kind of feels like a breath of fresh air. I love surface design, so things like wallpaper and textiles are chock full of pattern and ornamentation, which I like as well.